As near as I could remember, a few seconds ago an Improved Firebomb went off mere feet away from me. That couldn't be good. I blinked. Although this isn't particularly special, I was amazed that I could still do so. I couldn't see anything -- my vision alternated between total blackness and total whiteout from the afterimage of the Improved Firebomb's blast. My thoughts were unclear -- had I won? My sword was in its sheath beside me, although I didn't remember putting it there. After a few minutes, I realized that I was being half-carried, half-dragged across a rocky floor. My mind was still a bit muddled, so it took me a while to realize the importance of this. "Infernus?" I asked hopefully, "Is that you?" A dim outline passed in front of my eyes - a Scorchio's outline. "Yeah, it's me," Infernus replied, his calm voice answering my hopes. "Looks like you're coming around." I stood up, shakily. "Where are we?" I asked, looking around. I still couldn't see much. "In the cave. I managed to clear away the debris from the cave-in a little after sunset. The world hadn't ended, so I figured you'd won. After that, I just came down to look for you." I smiled. "Glad you came. Any trace of Nightmare?" I asked. "No, although the entire room looked pretty burnt. What happened in there?" Infernus asked, tilting his head to one side. "Nightmare tried to eat an Improved Firebomb," I replied, remembering what had happened. "It didn't work. I'll tell you the rest -- later." Infernus nodded, and together we worked towards the surface. We had almost made it to the surface when suddenly the entire cave became lighter. We looked around, puzzled. Then the walls started to dissolve, fading away like sheets of paper caught by a rainstorm. What followed next was absolute madness, as we ran frantically for the surface. Twice I had to leap across chasms that opened up in front of me. Moonlight streaked in from above, as the ceiling of the cavern melted into nothing. A rock fell, spiraling towards Infernus. I started to yell a warning, then watched amazed as the rock dissolved before it could strike. I scrambled ahead, using a stalagmite to brace myself and stumbling as it came away in my hands and disintegrated. I saw the cave opening up ahead and flung myself through alongside Infernus. I had a brief glance of the island. Against the backdrop of stars, the mountains were melting away. The foothills had become plains, and the plains had already dissolved into nothing. Then, abruptly, there was nothing left and I was plummeting through the sky. "Sabreur!" Infernus yelled from above me. I heard wind rushing, and I knew he was diving towards me as fast as possible. The ground was already horrifyingly close. Forcing myself to remain calm, I flung my arms wide and tried to increase my air resistance as much as possible. I was still falling, but my rate of descent dropped dramatically. Infernus dropped in front of me, wings twisting frantically to maintain control. "Grab hold!" he yelled, trying to stay in front of me. I drifted forward and grabbed hold of the leather straps on his legs. "Got it!" I yelled, checking the altimeter on my watch. It was broken, the glass cracked and splintered from all that I had put it through. Still, I didn't need my altimeter to know that we were falling much too fast. Infernus spread his wings, slowing our descent. 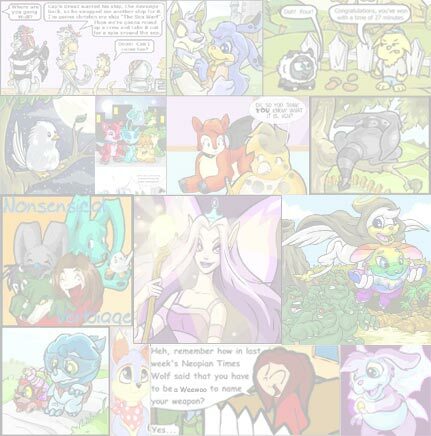 I saw a group of Neopets and owners in Neopia Central beneath us, watching our fall with horrified expressions. Our rate of descent had gone from 'insane' to 'fast' when we hit the hard concrete, landing in a tangled heap. After a few seconds, I realized that once again I had survived. Groaning, I pulled myself to my feet. Beside me, Infernus did the same. "Wow," I said, looking around me. 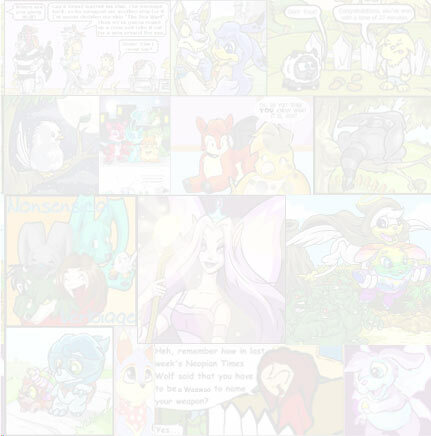 The various Neopets and owners that had seen our fall ran over to see if we were alright. I was in the middle of reassuring them that we were fine when a familiar voice made me cringe slightly. "There you are!" Dark Night growled, pushing through the crowd, elbowing people out of the way. His trench coat billowed out behind him. In the darkness, it was hard to see his expression, but I was certain that he was furious. He pointed his Cobrall dagger at me with one hand, displaying his arrest warrant with the other. "You," he panted, "are under arrest!" I smiled. After all I had been through, getting arrested didn't worry me. "What!?" Dark Night looked stunned. "After all that running and evading me, you're just giving up?" "I evaded you at first because I hadn't done anything wrong. That, and I had a mission," I said levelly. I pointed into the sky, towards where the island had been. "Now that my mission has been accomplished, I don't need to avoid you anymore. So, take me in." Dark looked puzzled, but pulled a pair of handcuffs from his coat. Suddenly, a voice spoke from behind us. "That won't be necessary, Dark." I turned, and found myself face-to-face with Fyora, Queen of the Faeries. "What!?" yelled Dark, furious. "After all that I go through to investigate this guy, on your orders I might add, you decide to just let him go?" He gestured frantically at the warrant. "I ordered you to investigate him because I knew that Nightmare had made him a target," Fyora replied to both of us. "I needed to see if he was the type of person who would give in to Nightmare's wishes. As the events of today have proved, Sabreur is a different kind of person entirely. Furthermore, I have spoken to the Police -- they have revoked the arrest warrant on Sabreur." Dark looked puzzled. "Erm... who's Nightmare?" he asked. Fyora shook her head. "I will explain -- later. In the meantime, go to Faerieland. You will be paid in full on your arrival," she stated simply. "Hot dog! About time I got paid for all this!" Dark Night shouted, dropping the warrant on the ground and leaping into the air, winging his way through the night sky towards Faerieland. Fyora watched him go, then turned to me. "I owe you a dept of gratitude, Sabreur and Infernus," Fyora said. She looked at the crowd around us, then stated, "Let us continue this conversation somewhere with more privacy. Your house, perhaps?" "Sounds good," I replied, then jumped as I realized something. "Kiddo and Un-Eairkagh! We forgot all about them!" We arrived in front of my house, and stood in shock. All of the windows had been blown out, as well as those of our neighbors. The front lawn looked like a war zone, with small craters blasted everywhere. The whole area smelled like smoke. I ran to the front door, only to find it still barricaded from the inside. We moved around to the back door, and found it still locked. I had lost my key in the mayhem, but Infernus still had his. He unlocked the door, and we rushed inside. Kiddo and Un-Eairkagh were waiting patiently in the living room. I noticed that Un-Eairkagh's blue feathers were standing on end. "You're alright!" Kiddo yelled, running over. Un-Eairkagh stumbled after her, looking dazed. "What happened?" Infernus asked calmly. Kiddo looked at Un-Eairkagh, then at us. "We barricaded the door like you said, and I was working on barricading the windows. Dark Night never saw you slip out the back. I sent Eair to barricade the back windows, but he went into your lab instead." I looked at the broken windows and general state of disrepair throughout the house. "He turned on the force-field generator, didn't he?" I asked, rubbing my head with my hand. "Well, he turned something on," she said, looking at the Eyrie. "I'm not sure what happened, but it felt like being in a tornado. He was standing right next to it, so he didn't come out of it too well." "Anyway," Kiddo continued, "the police were a lot more careful after that happened, since they didn't know what else was in the house. After an hour or so, they got a report that you had been seen heading for that freaky island, and they left. Dark Night seemed angry." "That's an understatement," muttered Un-Eairkagh, trying to smooth down his rumpled feathers without much success. "I guess you made it out okay," Kiddo said, looking at the various cuts and bruises Infernus and I carried. "Yeah... Nightmare's gone," I replied, "How about we meet later tonight at your house to talk it over, since my house is a bit of a mess right now." "Sounds good," Kiddo replied, walking out the back door. Un-Eairkagh trotted behind her, trying to look dignified despite the smoke that still trailed from the tip of one wing. Fyora watched them go, then turned to us. "Congratulations on your victory. I felt Nightmare's destruction the instant it happened," she looked grave. "The Shadow barrier held, but barely. I doubt we could have kept it up much longer." "But now that Nightmare's gone, everything's fine, right?" I asked hopefully. Fyora sighed. "For the time being, yes. But the Shadow barrier is critically weak. If the Shadows realize this and try to force entry, they might be successful," she spoke. Then she smiled. "It is not a concern for now, however. You have won, and Neopia has been saved for the time. Enjoy your victory." With that, she turned and left. Infernus looked at me. "Are you going to tell Kiddo about the Shadows?" he asked. "Nah," I replied. "I barely even know what they are. Besides, they're not our problem. Let's just clean this up and head over to Kiddo's house." It's strange, I thought, sweeping broken glass into a waste bin. This thing had all the qualities of a classic adventure story, but it never felt like an adventure. It just felt like... words failed me. "You alright?" Infernus asked me. I looked over at him, and thought about all we had been through together. He was part of my world, the world Nightmare tried and failed to conquer. I smiled. "Yeah, I'm fine." Satisfied, Infernus turned back to looking through the phone book for a repairman. I bent back down to picking up glass. No, it didn't feel like an adventure, I thought. It felt like doing what I was made to do. And so, my grand journey came to an end. There were still problems left. I had to deal with Dark Night on occasion, as he still wasn't fully convinced I was innocent. My house was a mess, although my repair bills were "mysteriously" paid off (I suspect that was part of Fyora's way of saying thanks). The basic problems of everyday life had accumulated while I was gone, and I would have to scramble to catch up on all I had missed. But these problems didn't really matter anymore. I had learned that friends and family are ultimately more important than any obstacle, and that all problems eventually come to pass. I wish this had been the end of my more life-threatening ordeals, but sadly there were more trials to come. If you wish to learn more, check out this story. I would like to thank several people who have provided me with help and inspiration. Thanks go out to Drake (drake_da_dragon) for his unfailing humor and 'go for it' attitude. I would like to thank Megz (2hot4u181) for the loan of her character, Dark Night, the best psychopathic detective to ever prowl the streets of Neopia. A big thanks for my sister, Kiddo (child_dragon), whose story inspired me to write my own. Lastly, I would like to thank the members of my guild, The Knightly Order of Meridell. You people rock! "You're pulling my leg," he snarled. "There's no such thing as a cursed gem." She realized that everywhere she went, the chattering and laughing always ceased and were replaced by amazed stares and whispering and pointing. "Taelia, is it true you have been using Neopet parts in the creations of your spells?" "Okay, we're here now what, we just barge in and hope they're home?" Fran stared up at the large wooden door.